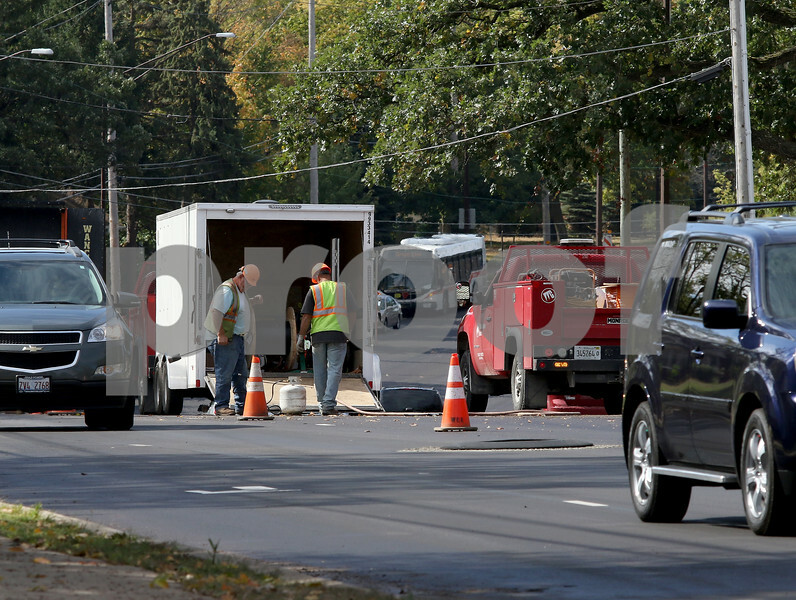 Construction workers work on Sycamore Road on Wednesday, Oct. 4, 2017 in DeKalb. Construction along the road has had drivers dodge raised manholes for a couple weeks, and overnight paving on Wednesday was supposed to complete the project, raising the street level to match the height of the manholes. A delay in the construction will postpone the completion of the project.